6c Transport cover returned because serviceman was deceased. Airmail was a special service provided by postal services. I say was because in this modern era most mail is routinely sent via air. Prior to the 1970s airmail was a premium service that cost more and was handled separately from the normal mail stream. 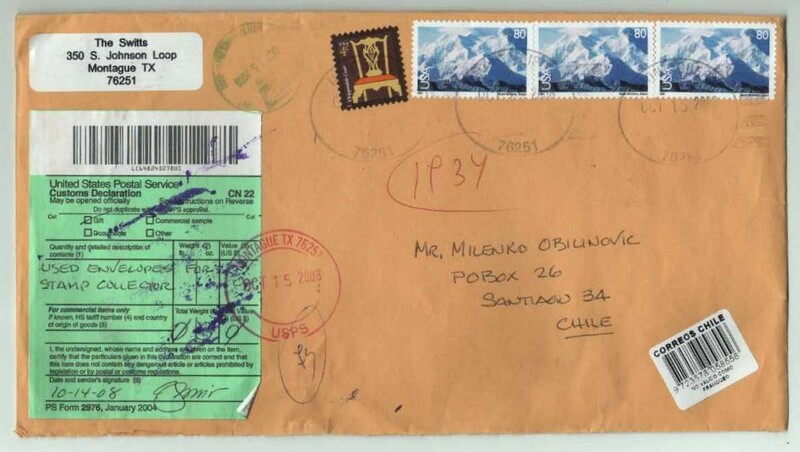 I collect and exhibit airmail covers (envelopes) that have actually traveled through the mails. I do not collect First Day of Issue Covers or Event Covers or First Flight Covers as these are contrived for collectors for the most part. 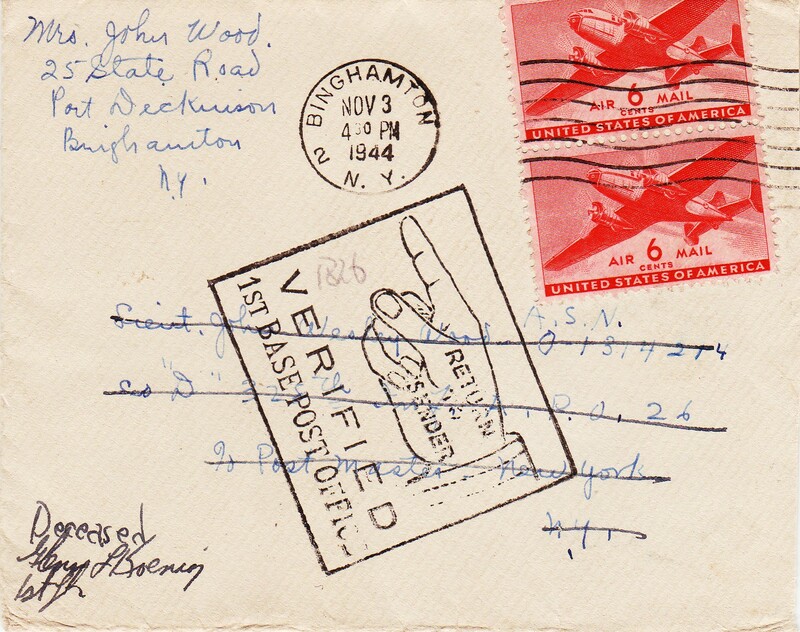 6c Transport Airmail Issue of 1941 – 44 (Scott C25, C25a coil) – this is my primary area of expertise. I am a member of the American Air Mail Society , the American Philatelic Society , the Auxiliary Markings Club , the American Association of Philatelic Exhibitors, the Canadian Aerophilatelic Society, and British North American Society. I have also contributed a regular column, Via Airmail, to The Stamp Insider a bi-monthly philatelic magazine. At present this publication is on hiatus.